To prepare today’s student for the opportunities of tomorrow, we must have a personalized learning environment to nurture their passions; build relevance between different learning experiences and let them design their own learning projects and processes in collaboration with others. This will impact the four success requisites: Create new value; take responsibility; make constructive choices and environmental consciousness. Teachers should develop a learning environment that is relevant to and reflective of their students’ social and linguistic experiences. They act as guides, mediators, consultants, instructors and advocates for the students, helping to effectively connect their culturally – and community – based knowledge to the classroom learning experiences. A teacher has many roles to play in a classroom including that of a facilitator. This means that the teacher should not be the king who controls the activities of the learners, rather should grant the learners some space to let to spirits of creativity, innovation and free thinking. In other words, learners must get involved in active participation that would be represented in argumentative discussions, and teamwork activities, so that the process of learning becomes comprehensive. 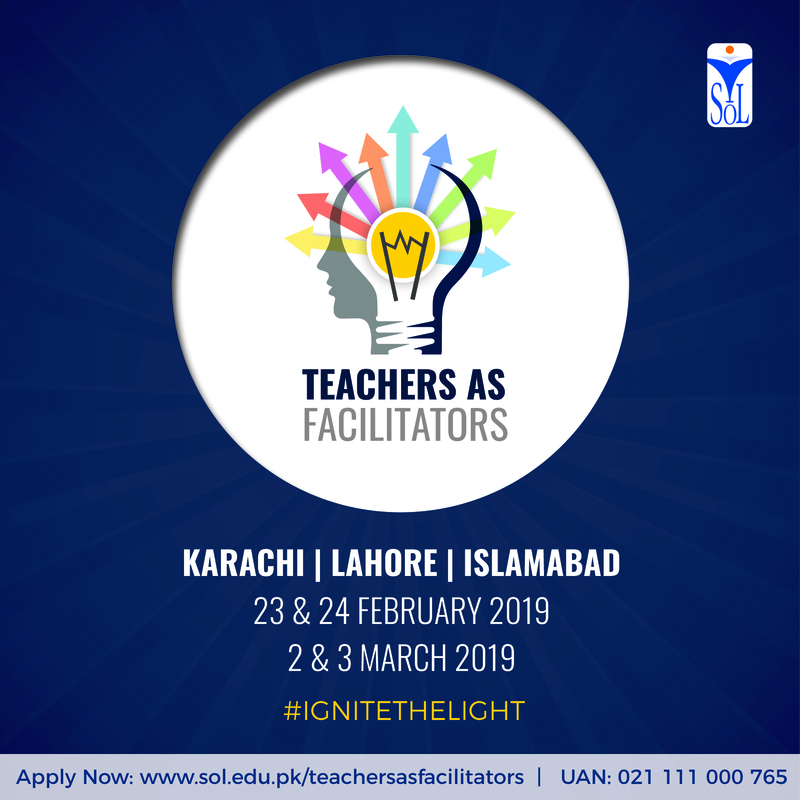 The program, Teachers as Facilitators with the theme Ignite the light is a 4-day workshop designed to equip teachers with concepts, crafts and competence required to make learning sessions effective and inspiring. To equip participants with concepts, craft, and competence needed to make learning effective and inspiring. Apply the art of facilitation in the classroom to provoke thinking and meaningful understanding. Whether in the sciences, technology, arts or business studies; with teachers as facilitators and students as discoverers of knowledge, learning becomes a delight. This ensures concentration, depth, retention and productive expression. Besides educating students, it is often about encouraging them, not only to impart useful knowledge, but the faith in themselves to act on it. Day 1 Develop facilitation qualities necessary for students to identify their learning needs and set their earning objectives. Day 2 Determine goals, processes, content, and methodology to conduct an effective class. Incorporate basic principles of creativity, critical and analytical thinking. Day 3 Practice facilitation skills for experiential learning. Day 4 Facilitate the process of confidence building in students by overcoming fears, hesitations and manage anxiety. Besides instruction, discussions, exercises, case studies and experiential learning; participants will be continuously evaluated on their daily performance; required to work on a project and submit a report.